A modern interpretation of a regal age in British architectural history, Edwardian conservatories are typically characterised by their square or rectangular footprint. This in turn means that they are incredibly space efficient - allowing you to enjoy the maximum possible floor area. However, don't think for a second that it's all about function. With Edwardian conservatories, you'll find style in abundance too, thanks to their imposing nature and widespread use of design flourishes such as elaborate crestings and detailed moulding. A conservatory can offer you the space to relax, entertain or provide the additional room that a young family needs to grow. Designed to fit in with your lifestyle, a conservatory can provide the additional space you are looking for without the turmoil and expense of moving home. Whatever style you choose, conservatories are versatile additions to a home - they transform living spaces and are the ideal way to add the second living room, home office or dining area that you have always promised yourself. 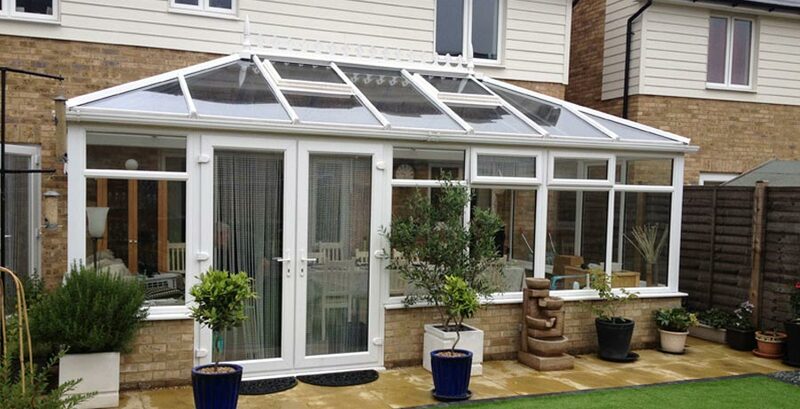 Choosing a style of conservatory to suit your property and lifestyle is only the beginning. A wealth of interior and exterior options await, so you can tailor-make your perfect living space. From the classic elegance of Victorian or Edwardian, to the subtle simplicity of a Lean-To, we offer a conservatory style to suit all budgets and tastes. A selection of colour options is available to compliment your home; choose white for a contemporary finish, or cream, rosewood, mahogany and golden oak woodgrain finishes for a traditional appearance. You can even choose to have woodgrained exterior with a clean white interior for the best of both worlds. Deciding on the style and performance of glazing, adding a roof cresting or finial, or opting for wireless speakers are all ways of personalising your conservatory to meet your needs perfectly. Call Crendon Conservatories today to discuss all of the options available to you. Complete our simple form for a no-obligation quote. We'll come to your home or you can visit us in Thame. We're very proud of the variety and quality of the work we do. Browse through some of our recent projects to get a better picture of the options available for extending your home in a traditional or modern style.